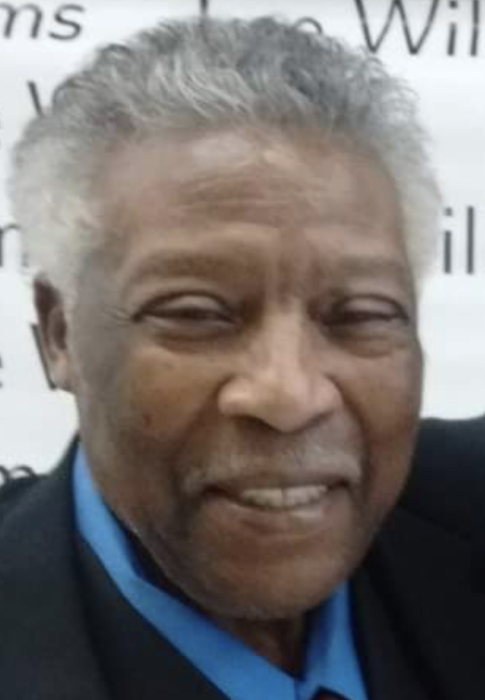 Elmer (Bud) Lofton 82 departed this earthly life on March 21, 2019 after a sudden illness. He was born January 22, 1937 in Cairo, Mississippi the son of Joe Willie Lofton and Delma M. Davidson. Bud relocated to Beloit Wisconsin in 1956 and worked as a pipe fitter for Lock Joint Pipe Company and later worked for Fairbanks Morse until his retirement. He married the former Willie Mae Green on November 8, 1960 and to this union was born four children. Bud later gave his life to Jesus Christ and loved gospel music, one of the highlights of his life was to meet his favorite gospel singer Lee Williams. He liked to fish and watch his favorite sports team, the Chicago Cubs. Bud did not drive, so everyone knew him as the man seen walking all over the town of Beloit, a town which he loved until his death. He was not one to fly on an airplane, but loved to take the train, often traveling throughout the country visiting relatives. Bud was also one of the last living Lofton pillars who loved participating in their family reunions, and will truly be missed. He leaves to cherish his memories three sons; Franklin (Jacqueline R.) Lofton, Elmer D. (Jacqueline C.) Lofton and Alvin R. Lofton and one daughter Deborah G. Lofton all of Rockford, Illinois, two sisters Vennie Davidson of Atlanta, GA. a twin sister Delma Esters of Ackerman, Mississippi, three aunts Ludie Lofton of Beloit, Wisconsin, Ella Sims of St Louis, Missouri and Emma Lofton of West Point, Mississippi, 11 grandchildren, 14 great grandchildren and a host of nieces, nephews, cousins and friends. He was preceded in death by his parents Joe Willie Lofton & Delma Davidson, wife Willie Mae Lofton, brother Sammy Davidson, uncle Jasper Lofton, great grandson Kaleb Lofton and many other relatives and friends. Funeral Services will be on April 4, 2019 at New Life Ministries 1400 Harvey Street Beloit, Wisconsin 53511. Visitation will be from 10am- 12pm with funeral service starting promptly at 12pm noon.